LAWRENCE JEFFREY ESTATE JEWELERS is more than just gorgeous jewelry. It is the dedication, passion, and ethics of our staff that make us great. Sandra Russak: Sandra's aesthetic sensibility informs and guides us as she collaborates in the acquisition process. Her ability to balance personal style and connoisseurship promotes cohesiveness in client collections while encouraging passionate collecting. She and Jeff started Bradford House Antiques in 1989. Jeff Russak: Jeff's expertise in Antique and 20th Century Jewelry combined with an uncompromising attitude toward quality, condition, and style directs the acquisition process. His proficiency in signed pieces and hallmarks is especially useful in identifying and dating each piece. In demand as a speaker on Antique Jewelry at Museums and Shows, he also volunteers as a guest appraiser for charity. Penny joined us in 2001. A devotee of antique jewelry and a collector of female portraiture, Penny lends her unique taste and expertise to the selection process of our jewelry. She also manages client relations and takes many of the photographs you see on this site. Her positive demeanor and principled conduct helps to guide and inform our staff. 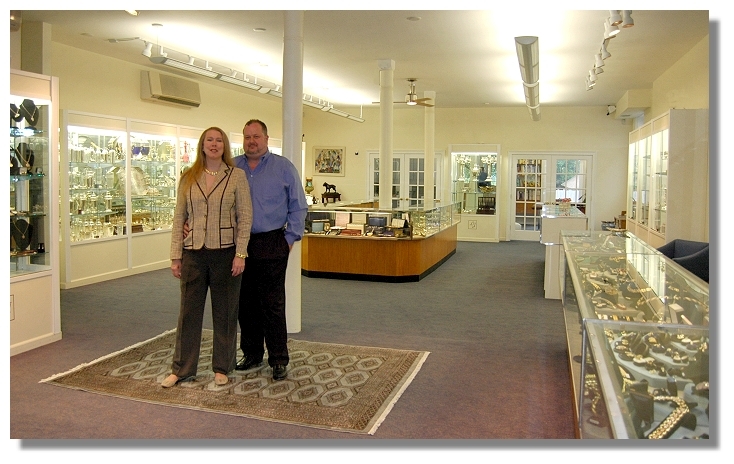 Lisa has many years of experience working with prominent Connecticut jewelers. She has studied at the Gemological Institute of America and has a keen eye for diamond grading. Her sense of style combined with a ''no-nonsense'' approach to quality help her to give our customers the honest opinions they need to make informed choices. Natalia is our Information Technology specialist. You can thank her for this wonderful new website. She is responsible for all the little updates that make shopping with us online a seamless pleasure.